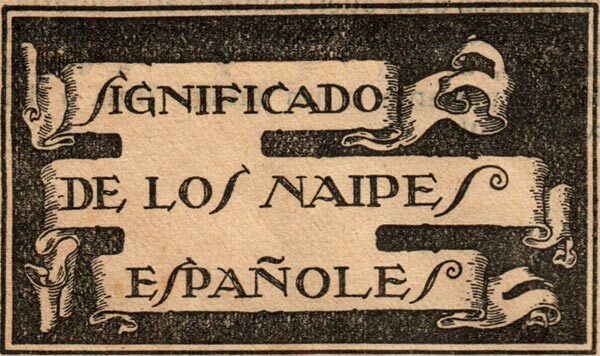 Hijos de José Garcia Taboadela were book-sellers who also published this charming pack of lovers' fortune telling cards in 1871. The subtitle of the deck, "para entretenimiento y recreo de las tertulias" means "for entertainment and recreation at social gatherings". 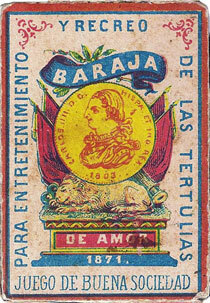 The ace of coins, also shown on the box (left), is based on that of Fournier Hermanos (Burgos) who had recently commenced manufacturing playing cards. 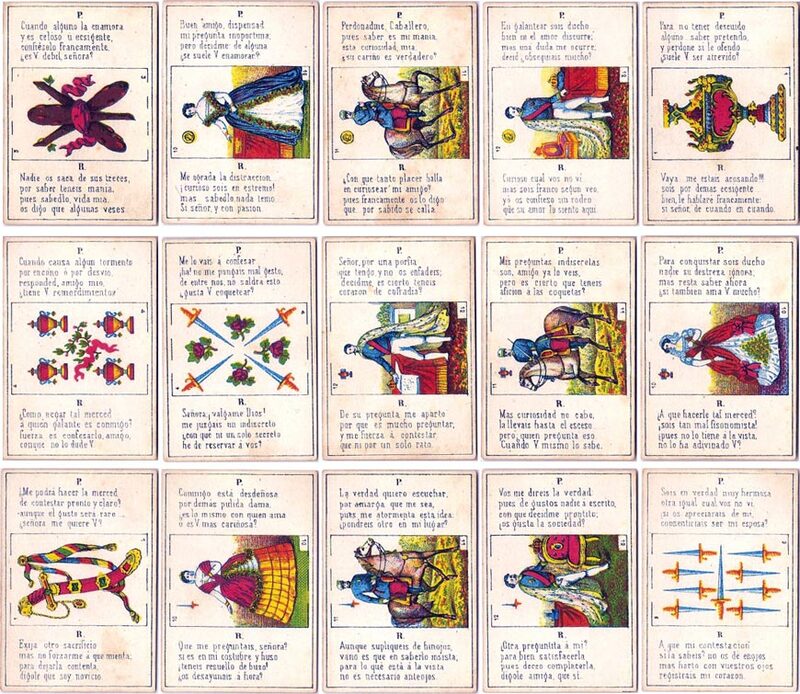 Each card features a Question and Answer relating to matters of the heart in the form of four-line poems, with a Spanish-suited playing card in the centre. 48 cards, size of each card = 68 x 47 mms.